Karen Frackowiak is a licensed naturopathic physician who is passionate about living a healthy and happy life – and who treats patients with the same goal. 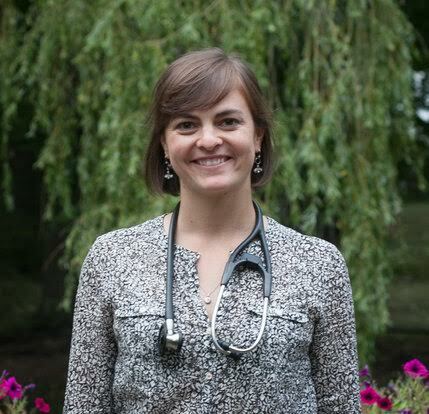 An interest in medicine and her personal health issues led her to discover Naturopathic Medicine in university. Originally from Ontario, she earned a BSc in biology at Acadia University, then went on to complete a four-year doctorate in naturopathic medicine at Vancouver’s Boucher Institute of Naturopathic medicine. Dr. Karen returned to Nova Scotia to set up practice, drawn by the friendly vibe of the east coast. Dr. Karen works out of Symmetry Wellness Centre in Burnside and Bespoke Clinic in Halifax. She treats all ages, for an array of health concerns. By building a detailed picture of your lifestyle, your health history and your current health concerns, she will help craft an individualized treatment plan to bring about lasting positive change in all aspects of your life: physical, psychological and spiritual.